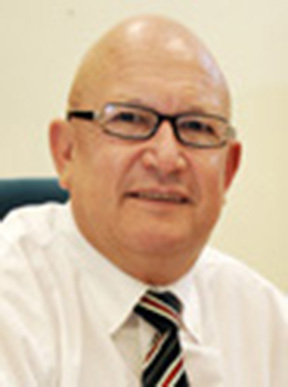 Izak (Sakkie) Janse van Rensburg joined UCT as executive director of Information and Communication Technology (ICT), University of Cape Town in February 2009. Prior to his appointment Janse van Rensburg was director of ICT at the University of the Free State (UFS). He holds an MBA from UFS and has more than 25 years’ experience in the ICT sector. He spent 22 years in the private sector, during which time he built a private business that was sold to a JSE-listed company in 1998. He has a strong track record of developing ICT strategies in the higher-education sector and of aligning these with the university’s systems. While at UFS, Janse van Rensburg facilitated key technology decisions, and oversaw the successful implementation of various systems, all of which improved service to the university. As UFS’ strategic advisor, and reporting directly to senior management, he developed the university’s ICT Strategic Plan and saw to its implementation. Part of his mandate was to align and harness technology for the benefit of the university’s academic, administrative and research functions. He is also the co-ordinator of the Special Interest Group on High Performance Computing for South African universities. 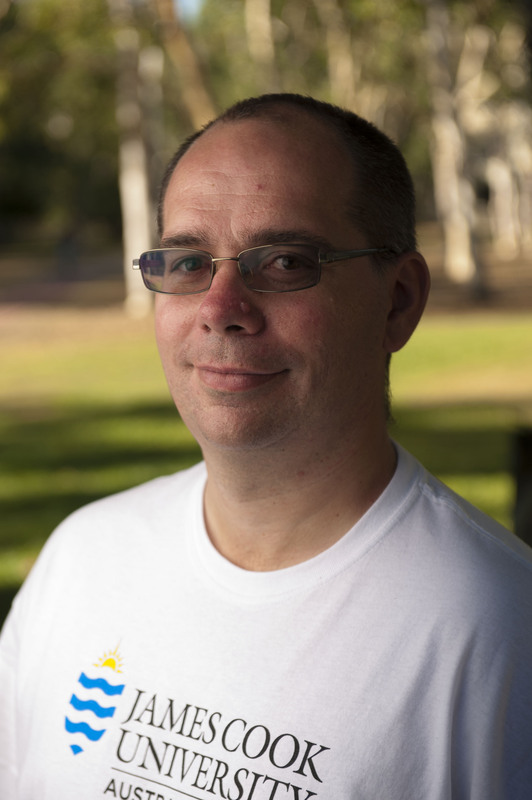 Jamie Kinney joined Amazon.com in 1998 and has served in a number of roles including Software Development Engineer, Database Engineer, Data Warehouse Architect and Strategic Alliance Manager. In his current role as a Principal Solutions Architect for Amazon Web Services, Jamie works closely with research and scientific computing customers including NASA, CERN, ESA, JAXA, the US Department of Energy and academic research institutions around the world. 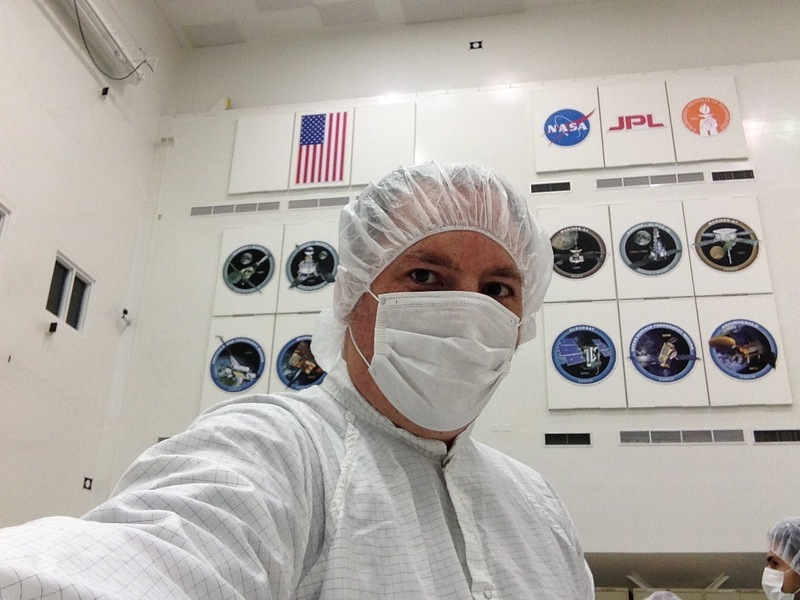 Jamie helped NASA/JPL develop mission operations and public outreach systems running on AWS and recently collaborated with CERN-affiliated institutions to analyze LHC/CMS data using the Amazon Elastic Compute Cloud. Jamie also supports the AWS Public Data Sets and AWS in Education grants programs. He holds a degree in Marine Biology from the University of Miami, is an amateur astronomer, and volunteers as a NASA Solar System Ambassador. 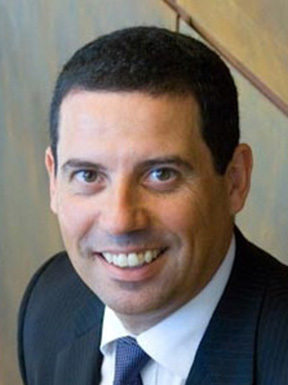 Peter Nikoletatos is the Chief Information Officer of The Australian National University and has more than 25 years experience in the Information and Communication Technology industry in Australia and overseas. Peter is responsible for University-wide planning, coordination and delivery of ANU information and communications systems, infrastructure and services. Peter’s career comprises several senior appointments including CIO at Curtin University (2008-2012), IT Manager for I-MED (Radiology), National Manager eBusiness for CSC (formerly BHP IT), and CIO for University of Newcastle. Peter has a particular interest in ICT strategy and its relationship to research, teaching and eLearning. He has worked closely with many of the leading global vendors to help shape ICT strategy. Dr Mustapha Mokrane is Executive Director of the ICSU-WDS International Programme Office. Between 2009 and 2012 Mustapha worked at the International Council for Science (ICSU) as Science and Information Technology Officer in charge of the coordination of ICSU’s Scientific Data and Information activities and the liaison with its partners. After moving from Algeria, his home country, Mustapha trained as molecular biologist in Marseille, France. Using transgenesis and microarrays technologies, he developed a drosophila model to elucidate the role of a gene involved in human cardiomyopathies. His scientific background covers genetics and bioinformatics and he developed a strong interest for scientific data and information challenges. He holds a Ph.D. in Molecular Biology from the Aix-Marseille University. The scientific research landscape has dramatically changed since the first international data-driven research programmes of the late 19th and early 20th century. Changing scientific practices, increased societal expectations, and technical advances with impact on the volumes of data generated, are making international coordination efforts needed more than ever before for sharing and managing research data. This should be a priority for the scientific community and the other stakeholders to enable multidisciplinary science needed to respond to modern global challenges. Mark Ragan is Professor and founding Head of the Division of Genomics & Computational Biology at the Institute for Molecular Bioscience, and Professor in the School of Information Technology & Electrical Engineering, both at the University of Queensland in Brisbane, Australia. He is founding Director of the Australian Research Council (ARC) Centre of Excellence in Bioinformatics, and co-founder of QFAB Bioinformatics, a multi-institutional, multi-sectorial partnership now with 17 full-time employees. Next-generation DNA sequencing technologies have been a game-changer for molecular bioscience, opening up heretofore unimaginable opportunities for high-precision analysis of biological processes including development, adaptation and complex disease. Increasingly rich data are now available online for every level of biological organisation from genotype to phenotype, while personalised genomic sequencing tells us precisely how each individual organism or tumour differs from the mean. My research integrates knowledge-based and data-driven approaches to analyse and make inferences about the complex networks of molecular interaction that link individual genotype to complex disease, particularly cancer. In this presentation I will situate my group’s research in the fast-moving world of bioscience data, with particular emphasis on our evolving use of institutional, national and international e-research infrastructure. 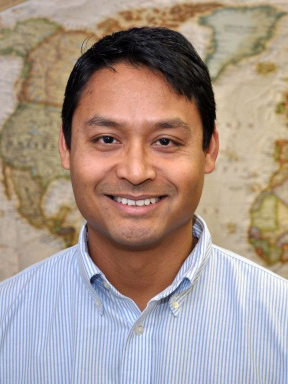 Dr Rahul Ramachandran is a Principal Research Scientist at the University of Alabama in Huntsville. His research focuses on Earth Science Informatics. This emerging field looks at the application of computational methods and information technology to the acquisition, storage, processing, interchange, analysis and visualization of Earth Science data and information. The ever increasing amounts of information generated by sensors, model simulations, analyses, and other sources have led to an abundance of scientific data. In order to process, manage, and extract useful information from this deluge of data, the development of new tools and algorithms has become necessary. This data deluge in the sciences has also shifted the focus of computing applications from simulations to a new paradigm called data intensive science. To view full presentation abstract, click here. Deb Verhoeven is Chair and Professor of Media and Communication at Deakin University, Deputy Director of the Centre for Memory, Imagination and Invention and a Chief Investigator in the ARC Centre of Excellence for Creative Industries & Innovation. She is the Project Director of Humanities Networked Infrastructure (HuNI), a two-year project funded by NeCTAR (National eResearch Collaboration Tools and Resources). She served as inaugural Deputy Chair of the National Film and Sound Archive of Australia (2008-2011) and as CEO of the Australian Film Institute (2000-2002). She holds current appointments on the Find and Connect Web Resource Advisory Committee (Department of Families, Housing, Community Services and Indigenous Affairs), the executive of the Australasian Association of the Digital Humanities (aaDH) and the Tasmanian Government’s Digital Futures Advisory Council. This presentation will outline how the digitisation of both the creative industries and contemporary eResearch practices bear on each other. How might the opportunities presented by an unprecedented proliferation of data enable innovative methods for studying and understanding the creative industries and creative labour, and conversely, how might we simultaneously understand the work of eResearch itself as increasingly ‘creative’. Taking the music industry as a case study, this presentation will explore how data about historical live music gigs in Melbourne can be analysed, extended and re-presented to create new insights. Using a unique process called ‘songification’ we will demonstrate how enhanced auditory data design can provide a medium for aural intuition. Jeremy VanDerWal – Within the Centre for Tropical Biodiversity & Climate Change, Jeremy VanDerWal leads the spatial ecology group focusing on how ecological events shape observed spatial and temporal patterns in species distributions, abundances and/or richness. Now concurrently situated as the Deputy Directory of eResearch at JCU, he and his group are poised to utilize theories and tools in ecology, biology, ecoinformatics and computer science in conjunction with high performance computing (HPC) facilities and citizen science to explore key theoretical questions in ecology but always moving toward improved applied conservation science and engagement. Ecology has long focussed on how environmental changes have structured spatiotemporal patterns of species distributions and abundance; given the rapid changes in climate we are experiencing now, this understanding is of even greater importance. Inherently, spatiotemporal data is large and complex, and with advances in data collection, accuracy and availability in combination with novel analysis methods has led to increased compute and storage needs to undertake the research. Recently, we have lead several global and nationally significant projects assessing the potential impacts of climate change on changes to species distributions. Here I will overview not only the key findings of these projects but how infrastructure was invaluable in going from hypotheses and “big data” through the modelling procedures, ending in scientific publications and ultimately, impacting policy and management. To view full presentation abstract and bio, click here. Dr Nick Tate is President of the Australian Computer Society (ACS) and Director of the Australian Government’s Research Data Storage Infrastructure (RDSI) project which is based at the University of Queensland (UQ). RDSI is a $50m project funded under the Super Science initiative which aims to transform the storage of research data throughout Australian Universities and Research Institutions. Prior to this role, he was Associate Director of the Australian Research Collaboration Service (ARCS) which developed and deployed cloud computing and cloud storage services for researchers across Australia. In this role, he was based at Queensland University of Technology (QUT). He has been an Adjunct Professor in IT and Electrical Engineering at UQ since 2008. He was previously IT Director at UQ, Director of the Australian Computer Emergency Response Team (AusCERT) and Chair of CAUDIT. He is also a Director of Higher Ed Systems Pty Ltd, Co-Chair of the eResearch Australasia conference and was Chair of the World Computer Congress in 2010. Prior to UQ, Nick worked on the development of anti-missile missile systems for Royal Navy Warships and on real-time air traffic control systems, before spending twenty years working for investment banks, eighteen years in London and then two years with Macquarie Bank in Sydney. He was Head of IT for the United Bank of Kuwait in London during the Iraqi invasion of Kuwait in the first Gulf war when there was a run on the bank and many strange requests from Baghdad! Nick holds a Bachelor’s degree in Physics from the University of St. Andrews in Scotland, a Master’s degree in Computer Science and a PhD in IT security. He is also a Chartered Engineer, an ACS Certified Professional (CP), a Chartered IT Professional, a Fellow of the Royal Astronomical Society and a Fellow of the ACS. 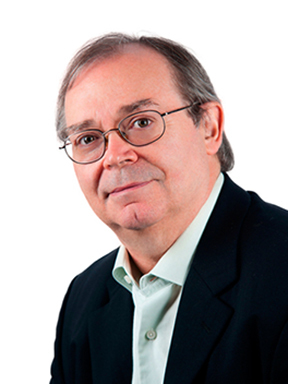 He has over 38 years IT experience with 16 years at CIO level in a University and two banks. Nick has also been a pilot in the Royal Air force Volunteer Reserve, a City Councillor and Chairman of a London based economic think tank. To view full bio, click here. Viviani Paz is the Project Manager of Australian Government’s Research Data Storage Infrastructure (RDSI) project which is based at the University of Queensland (UQ). RDSI is a $50m project which aims to transform the storage of research data throughout Australia. She is also the Co-Chair of the eResearch Australasia conference and Programme Director. eResearch Australasia is the leading conference in eResearch focused on how information and communications technologies empower researchers to collect, manage, share, process, analyse, store, find, and re-use information. She worked in the Australian and International IT industry for over 20 years. Prior to joining the RDSI project Viviani focused on the management of strategic projects in the Higher Education and Research sector and in the IT Security industry. She worked for the Australian Computer Emergency Response Team (AusCERT) for 14 years in a range of activities including infrastructure management, services development and strategic projects, project management, incident response and handling, vulnerability analysis and policy development. Prior to UQ, Viviani worked for Hewlett Packard (HP) providing technical integration consultancy on products to the pre-sales team nationwide, she also worked as Software Support Analyst and Software Quality Analyst providing customer support and quality assurance on HP’s products. Brendan Bouffler has 20 years of experience in the IT industry, dealing with large systems in high performance technical environments. He has been responsible for designing and constructing hundreds of HPC systems for commercial enterprises as well as research and defense sectors all around the globe and has quite a number of his efforts listed in the top 500, including some that have placed in the top 5. Brendan joined Dell in 2011 and heads up Dell’s HPC and Research Computing Organization in Asia. He holds a degree in Physics and an interest in testing several of its laws as they apply to bicycles. Computing plays a role in nearly area of research today, including some areas previously assumed to be impervious to it. The symbiosis between computing and science goes much further, though, impacting the design of every device and solution we create and frequently creating new problems for science to solve. We’ll take a quick tour of a number of areas, from space flight to thermodynamics and show just how much advancement is left on the table using current technologies, and what immediate problems challenge the industry.